Recently guests staying here at Liz at Lancaster discovered the Pilates studio down at the Delta/REEA centre -5 blocks from the guesthouse. I love it when guests do my research for me! And it made me realize yet again, what a little gem this area is and how lucky we are to have it on our doorstep. 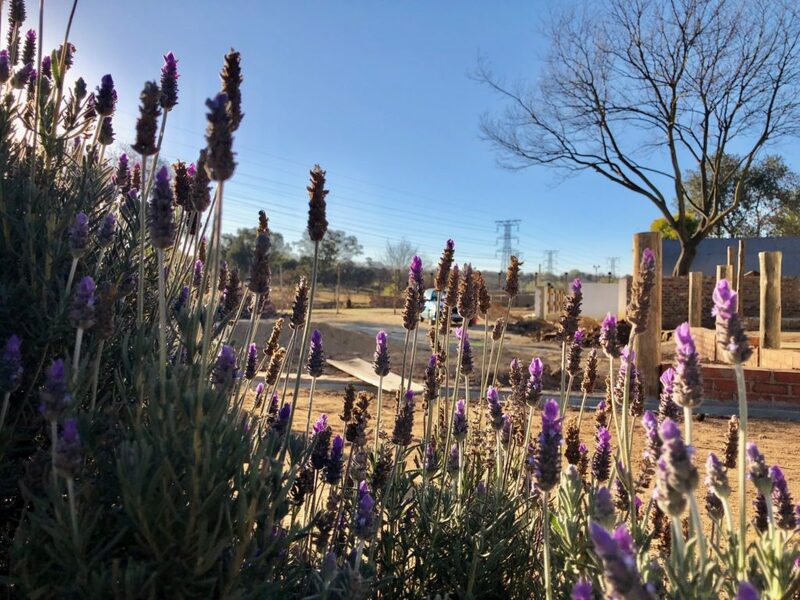 Several years ago I wrote a blog on the ABC of Craighall Park so now here is one on the ABC of the Delta Centre. A is for Arena . Yes I kid you not. Check out H and you will see what kind of arena I mean. Still under construction it’s next to the Gerakaris Winery. How amazing to savour the difference between wooded and unwooded Chenin Blanc as you nibble on a cheese board (well, not actually the board .. rather the cheese) and watch horses exercising in the arena. Can’t get more countrified than that! B is for the Braamfontein Spruit which runs along the west side of the centre through Delta Park. 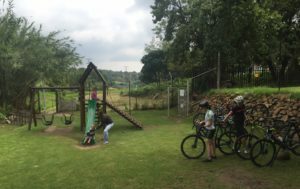 The Spruit area is a favourite of dog walkers, cyclists, walkers and horseriders. Delta Café is great. Jozi has lots of outdoor eateries but they are mostly pavement cafés or overlooking parking lots in shopping centres. At Delta Café you look over garden and park. And it’s super pet and family friendly. And they are in process of building a raised, roofed open air pizza and bistro restaurant. It will be a stunning place for sundowners facing west and overlooking the spruit. Stay at our well located Guest House and visit Delta Centre. View our Craighall Guest House for Rates and Availability! E has to be the Egoli River Rangers who offer riding lessons, pony rides and outrides in Delta Park. They also have daily patrols along the Braamfontein Spruit, monitoring ecological, social and security conditions. F is for furniture repair. Paul is a resident at REEA and he’s a dab hand at fixing furniture. See his page for details. There’s also refurbed furniture at the quirky Bamboo Palace. 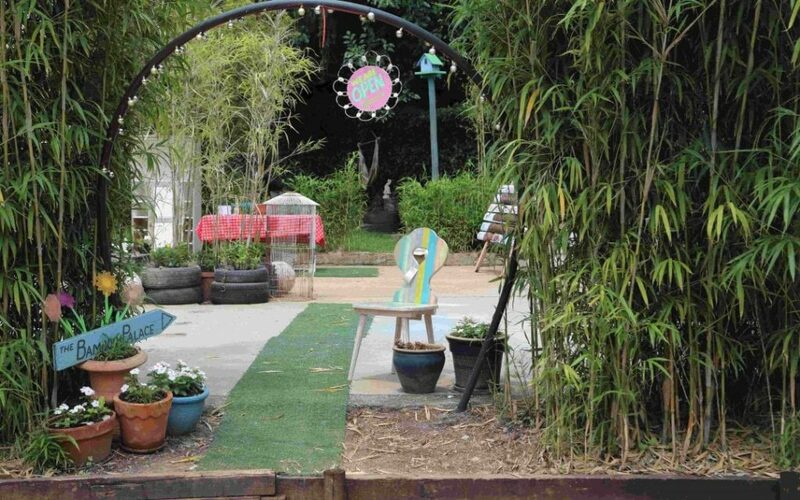 Bamboo Palace a workshop which rejuvenates furniture … and people! G is for Gallery There’s a cute little gallery, CO2CreativeSpace, next to Delta Café where during the summer months they have low-key but interesting shows of local artists. 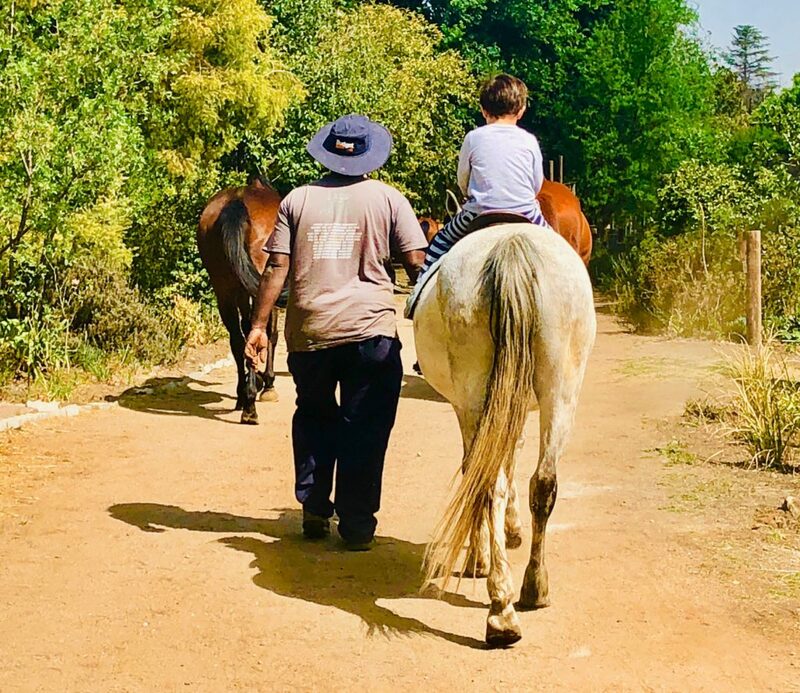 H is for Horses – there are horses everywhere: under A for Arena; under E for Egoli River Rangers; under K for Kids’ activities. Small children love the pony rides. And a visit to the stables is always a win. I for indie: in this case Independent Church Gatherings Every Sunday and sometimes during the night on a Saturday, various independent churches meet in small groups in Delta Park to worship. These congregants with their staffs and crisp white uniforms, are a familiar sight in the park – singing, drumming and dancing around in a circle as they worship. J There’s a jungle gym on the grass at Delta Café which is why it’s a favourite for kids and parents both mid-week and over weekends. K Well you can see why the Delta complex is a great place to take kids for an outing. Lots of things to do. L Location! Location! Location! This little rural oasis is literally in the heart of Johannesburgs Parks Region and 3km from Rosebank. M is for menu – no not Delta Café’s food menu but the menu on REEA’s website. Apart from all the venues they offer, there also have several community initiatives. N is for the Nursery, Colourful Splendour, with super helpful staff. No wonder Liz at Lancaster gets such compliments about the garden at the guesthouse. O is for Outdoors as Delta Park is a great place to get out and get some exercise. The worldwide initiative of the Saturday morning 5 km Park Run (or walk) was launched in South Africa in Delta Park (by Bruce Fordyce, famous Comrades multiple winner). P is where we started this blog – with the Pilates studio run by Gabi Harris (082 674 5263). It’s fully equipped with Pilates equipment -our guests had a once off duet lesson and loved it. And, although expensive in South African rands, for them paying in British pounds and compared to the equivalent in the UK, it was not bad at all. 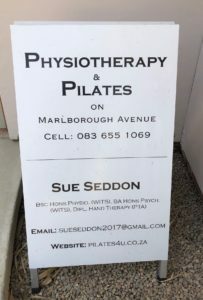 And even better, it’s a wellness-in-one centre, as there is also a physio, Sue Seddon (083 655 1069) as well as an Occupational Therapist, Natalie Powell who specializes in hand and arm injuries and complaints. Q is for Quirky – for that’s what lots of these venues are. Low-key and see U.
R The REEA Foundation (originally the Rand Epileptic Employment Association) was established in 1935 as an NPO. They manage a residential care centre for 40 + adults living with epilepsy and mild mental disorders. It is REEA who own and administer this property as a whole. S There’s a great Second hand bookshop which opens Monday to Saturday 9-1 and Tuesday and Thursday 1-4 pm. They even gave me some books for our Liz at Lancaster pavement library. 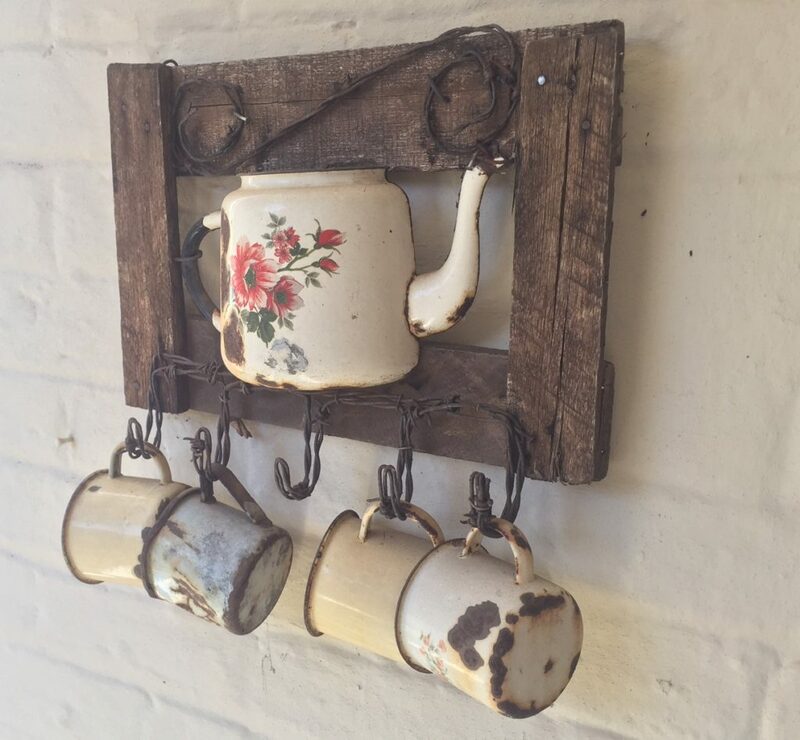 T : The Charity Shop (Rambling Rose) sells all sorts of object d’art, clothing, kitchenware, appliances, etc. All proceeds go to the REEA Foundation. U is for Unpretentious with a big capital U. This sums up the ambience of this entire complex, which is why it so refreshing in the midst of the glitz and glamour of Joburg. 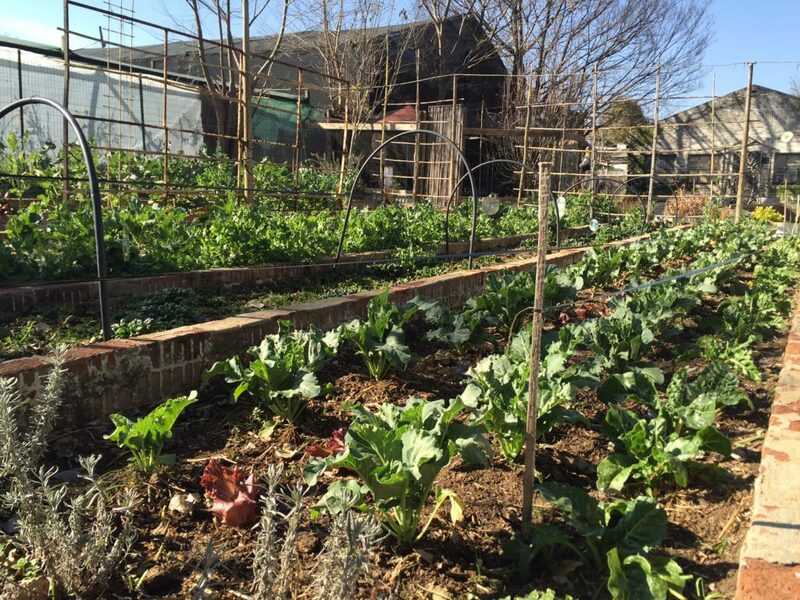 V is for veges – grown on site and sold every Saturday morning at the Gallery/Ceramic studio. W and this has to be one of the BEST. 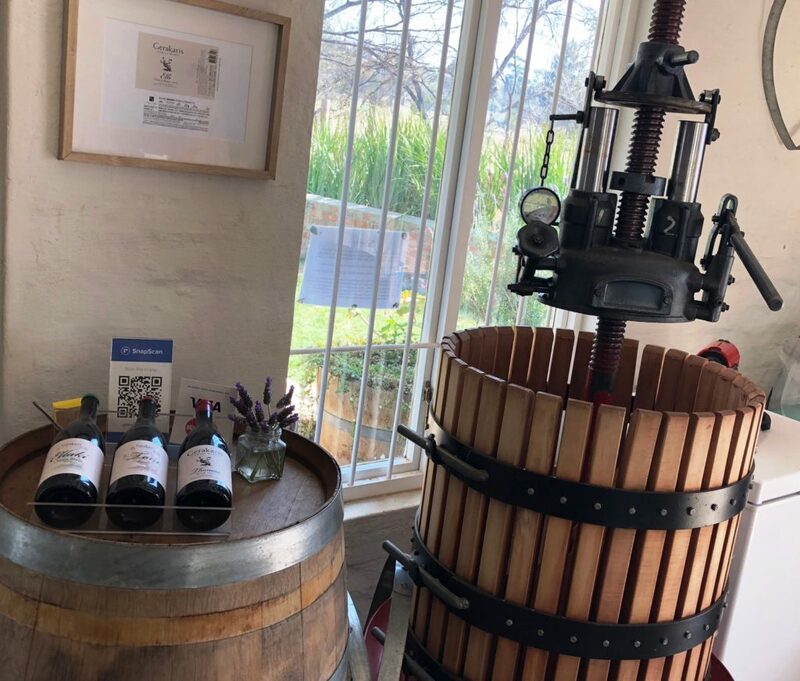 The only full Winery in Gauteng, run by the vintner Kath Gerakaris, they ferment, bottle and label their wine right here on site and have wine tastings Wednesday to Sunday. Watch this space for a full blog. X marks Liz at Lancaster Guesthouse – ONE km from the REEA/Delta centre. 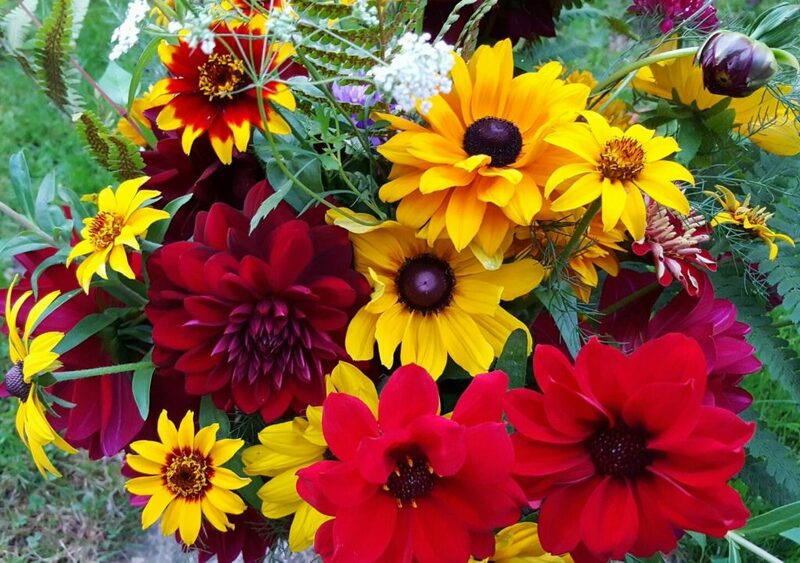 Z presented a real challenge but there are always wonderfully colourful Zinnias in the courtyard of Colourful Splendour. One of my favourite places in Joburg – and many people don’t know about it! That is one of my favourite book shops, so well organised. Just glad I don’t stay too close by as I tend to spend a fortune there everytime I visit. REEA was also my main feature in my blog on Craighall Park. 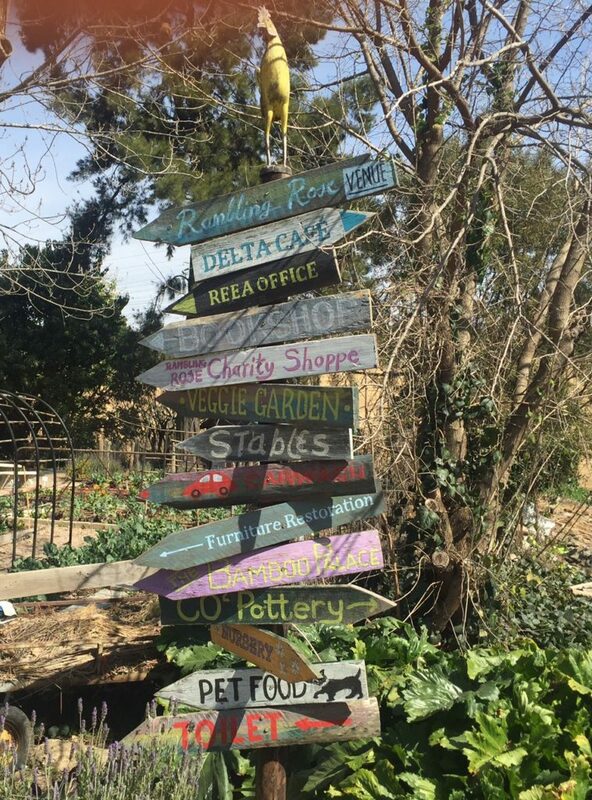 ABC Delta is another informative blog which talks of a large park providing a huge variety of opportunities for all sorts of growing and caring and, if you are lucky, you might see Liz and Kaya there too. 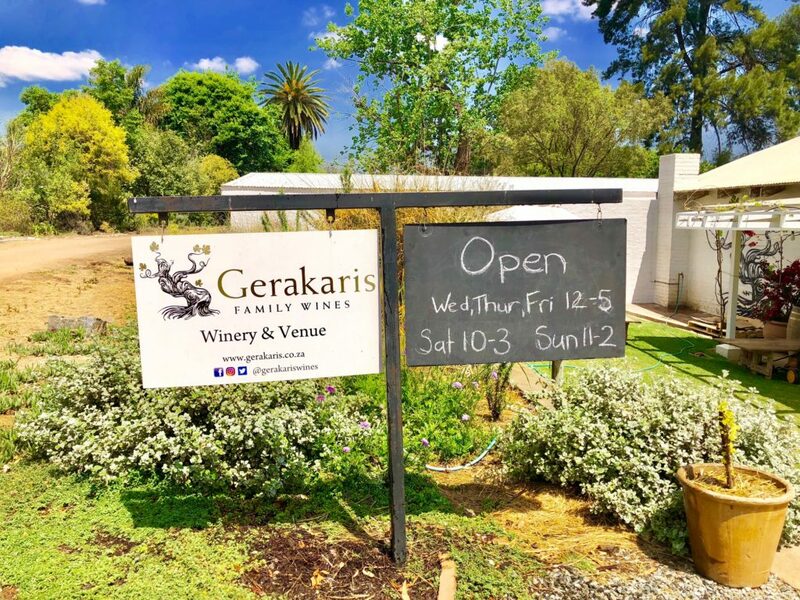 Grew up in Parkhurst and my Dad was an avid gardener so we often went to the REEA nursery (I’m talking late 1960’s) – there was a direct path from 22nd street to the nursery then, so we often walked. Plants were pulled directly from beds and wrapped in newspaper. REEA assisted families then lived in housing “comples” within Parkhurst, 13th street or thereabouts down by the river and their children attended Parkhurst Primary so I visited some of my friends. 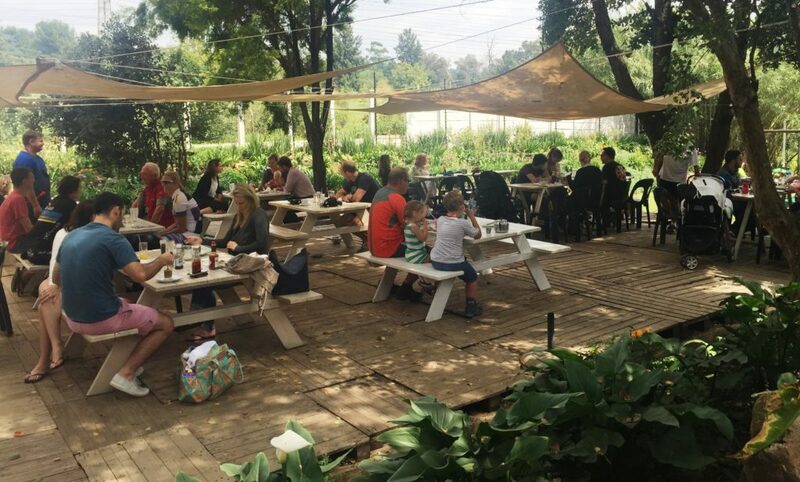 Last year I visited my daugher (who now lives in Parkhurst, and we crossed over the river with the dog and went have breakfast at the Reea cafe, I was delighted to see the nursery still there. Fabulous spot. P.S. Sunday worship/baptising was already happening (as kids we used to hide in the “long grass” and watch. Thanks so much Linda. Love hearing personal stories like this.